Scott Hanson, our Young Eagles director, coordinates potential riders with various pilots throughout the year. All rides are scheduled at Lake Elmo Airport. Boys and girls from 8 through 17 are eligible. 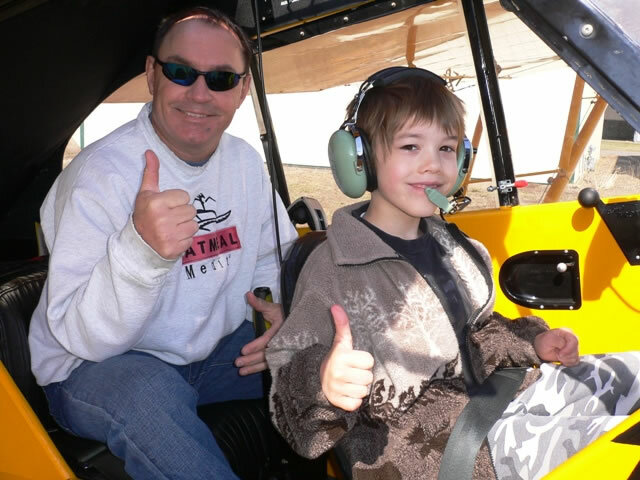 To date, EAA Chapter 54 has given over 3750 young eagle rides. Members of EAA Chapter 54 will be available to give Young Eagle Rides the second Saturday of the month (May through October) between 9:00 AM and 10:00 AM. Enter Gate B at Lake Elmo airport. Click for an airport map. You must reserve your Young Eagles flight by clicking on the "Pre-register" button below. 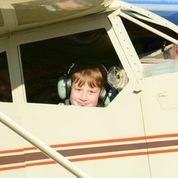 The Young Eagles program is intended to give kids their first airplane ride with a one on one experience with the pilot and introduce them to aviation in a positive way. For further flights, please contact a flight school or the Civil Air Patrol. Our program is intended for one free flight only. We do not have the resources to give multiple fights to children. Of course, the weather will have to cooperate on these designated Saturdays. Rain, very low clouds, or strong winds will cause flying for the day to be cancelled. Latest Status: Registration for 2019 is now open. Click "Pre-register" button below. Click the Button on the left to e-mail our Young Eagles Director with any special requests, questions, or comments about our program. Many of your questions may be answered in our Young Eagles Brochure. Sign-up by clicking the button on the left. We encourage you to sign-up early as there is a limit to the number of flights we can accommodate. On the day of the flight, come to the Chapter clubhouse at Lake Elmo Airport between the hours of 9:00 and 10:00 AM. Enter at Gate B. 1. 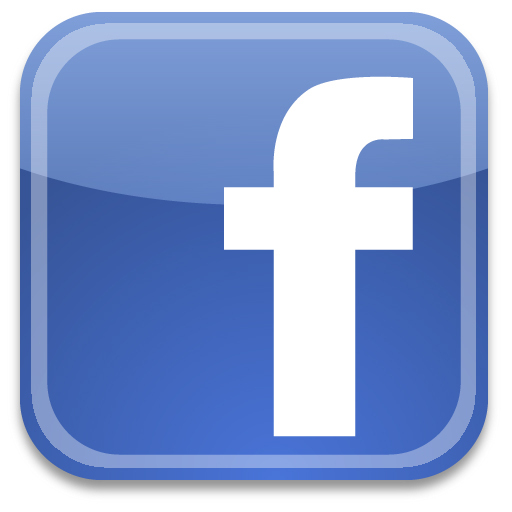 Be accompanied by a parent or legal guardian to complete a consent form. 2. Or be accompanied by an adult and have a consent form which has previously been filled out by a parent or legal guardian. No child can fly without a properly completed registration/consent form. If the weather is bad, we will not fly Young Eagles and you will need to sign up again for another date. If for any reason you are unable to attend on your schedule date, please Cancel Your Reservation so another child may become a Young Eagle. The original mission of the EAA Aviation Foundation's Young Eagles Program was to provide a meaningful flight experience for 1 million young people between the ages of 8 and 17 by the year 2003, which was the 100th anniversary of the Wright brother's first powered flight, and also the 50th anniversary of the EAA. This mission was accomplished and the Young Eagle program has now flown over 1.6 million youngsters. Why was the EAA Young Eagles program started? Each EAA Young Eagle will experience a safe and enjoyable flight that will give them new perspectives on the world and life in general. We feel that Young Eagles program participants will understand that an individual's potential is unlimited and for them, the sky is the limit! 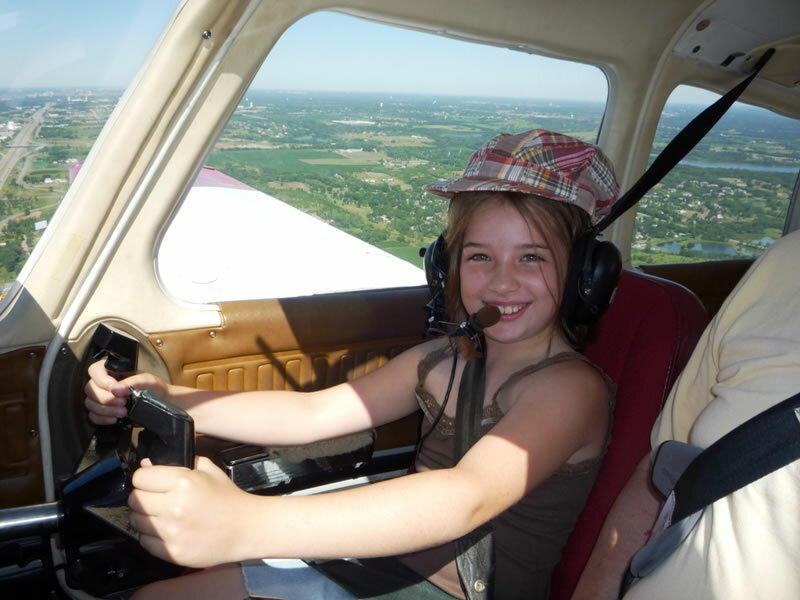 If you are already a Young Eagle and want to know what's next, visit the EAA National Young Eagle web site. . Our program is intended to give only one free airplane ride to a child. Click on the button above and check out our Young Eagles Photo Album. See if you can find your picture. ©2011 EAA Chapter 54 - All rights reserved.